Landscaping for a municipality means doing it all. Timely, precision mowing. Pruning dead branches before they topple. Adding an inviting, flower-filled courtyard for a busy library. Keeping a popular sports field ready for action. And along the way, great communication between the landscaper and the public works manager is crucial. How does Greenscape, Inc. meet the wide scope of municipality landscaping needs? Professional landscape maintenance makes all the difference in how your municipality looks — and how people see it. A lawn care maintenance plan keeps your turf green, healthy and free of weeds and disease. Fall leaf removal keeps your property from looking neglected. No-fail irrigation means everything is always green and healthy. Mulch discourages weeds, retains moisture — and nothing looks neater than a fresh bed of mulch. We’re on top of your landscape’s many needs. You have a lot to keep track of, so you might not notice potential danger spots on your property. Maybe part of a parking lot is too dim, making people nervous about walking to their car. Uneven sidewalks could pose a tripping hazard. Did you notice the broken fence around that retention pond? How about that dead branch that could topple onto your walkway? We’re on top of it. Our client relations managers regularly patrol your properties, letting you know about any potential dangers. You’ll see our commitment to safety in our crews, too. When visitors see our crews wearing safety vests and goggles and using safety cones and signs, they’ll feel secure on your property, whether it’s a park or a parking lot. We know budgets are always an issue with municipalities. That’s why we work with you to use your budget appropriately. We’ll point out issues that might not need fixing this year, but they’ll need it next year. Then you can set aside money for it in next year’s budget. That’s great information when it comes to allocating your resources. No offense, but you might have some problem areas. It’s our job to point them out — and tell you how we can fix them. Our client relations managers walk your property with our 3 S report in hand to check on the safety, security and street appeal of your property. We’ll be your eyes and ears, checking everything from pedestrian safety to the health of your plants. Any erosion or drainage issues? How’s your turf color? Our crews might see graffiti on a wall, or a bent handicapped parking sign. If anything’s amiss, we’re on it. Your property will always look great. Our experts know just what landscape enhancements can make the biggest difference for your municipality. Are there things you can do to improve your safety? Your security? Your visitors’ ease and comfort? We might suggest a spot that could use more lighting. Or post out the perfect place for a patio. 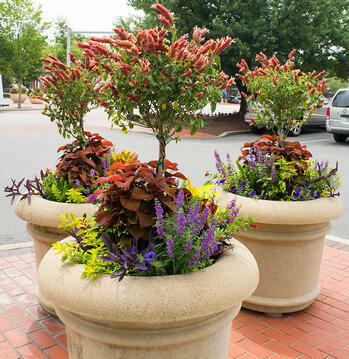 We can boost the appeal of a front entrance with high-impact planters packed with intriguing tropical plants, or add much-needed seating to a popular sports field. If your municipality landscaping still features the same azaleas planted 20 years ago and sad junipers that used to be in style, you need an update. The average landscaping lasts about 15 years. Update your look with fresh, modern landscaping features. Ditch the tightly trimmed symmetrical shrubs for casual drifts of elegant grasses that wave in the breeze. Add native plants that do double duty — these sturdy trend-setters make a contemporary statement and save water. Celebrate North Carolina by planting natives like showy yellow Carolina lupine and pretty periwinkle Eastern blue star. At Greenscape, we’re known for our speedy response time to client issues. We’re there before you know it. When we’re proactive with your turf care, it should be healthy and relatively free of weeds. We’re proactive with your irrigation, so there shouldn't be a problem that causes a brown patch of grass or a bed of wilted flowers. Our prompt attention means you look great, all the time. When you’re open to the public, you have to be sure of your snow removal service. How likely is it that someone will slip and fall on your property in the winter? And if they do, what are the repercussions for you? That cost can include legal costs, medical costs, potential insurance rate increases, plus workers’ compensation if an employee slips. 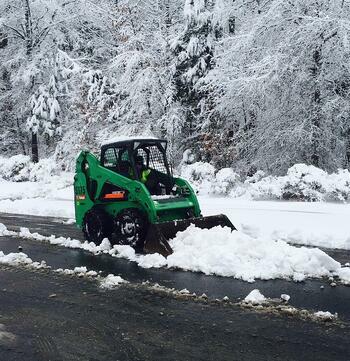 At Greenscape, Inc., we know how crucial it is to have safe, clear parking lots and walkways. We provide reliable snow and ice removal for our current landscaping customers. Clients with a signed snow removal contract have top priority. Questions about your snow removal budget? We’re happy to help. You don’t want to wonder when landscaping crews are showing up or what they’ll do. With Greenscape, you don’t have to. You’ll always know when our crews are arriving and what services they’ll be doing. You’ll always have our monthly update telling you our roadmap for the month. When you do have a question or concern, you have just one primary contact for the whole company — your client relations manager. Whether your question is about mowing, mulch or constructing a pergola, you know who to call. This is especially helpful with a municipality, when your question or need could be about anything. You won't be bounced around to four different people. A host of municipalities trust Greenscape to meet their multifaceted landscaping needs. When we’re on the job, we’re on top of everything. That means less stress for you. 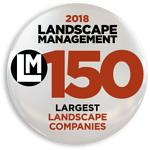 We’ve been meeting the full-service landscaping needs of commercial customers in the Raleigh, Durham, Chapel Hill and Cary areas for 40 years. 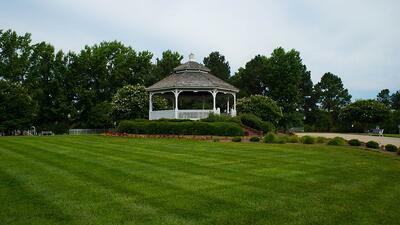 We offer landscape management and lawn care, design and build services, irrigation, landscape lighting and more. Call us at 919-552-7742 or fill out our online form to request a free consultation about any of our comprehensive services.